Drawing is the perfect activity to help improve creativity in your kids. If you realize that your kid shows interest and skill in drawing, then the best way to develop their new found skill is by awarding them with an art award certificate. Children can go a long way in the field of arts and it�s the duty of the adult in charge to nurture their abilities suitably. 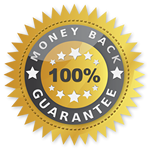 Our premium certificates are similar to our free templates but do not carry our watermark. If you want fully customizable certificates (change the design, text, add a logo etc..) please contact us for our design services.